A few weeks ago I was invited to visit the new sk:n Clinic on Lavender Hill, Clapham, London. I can’t tell you how excited I was to visit. I was curious to know what’s new in the industry. I was not disappointed. 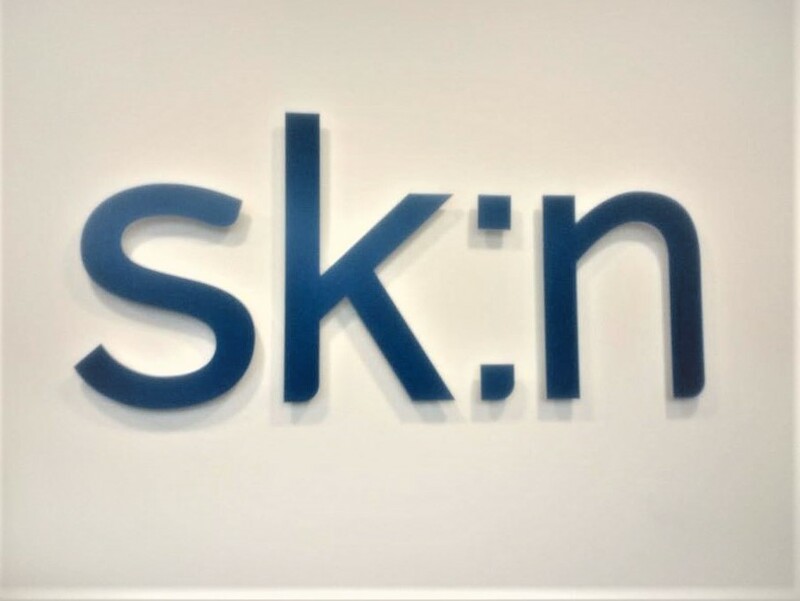 sk:n Clinic is on the money with innovation in skincare. In fact, they are ‘the country’s leading skin clinic offering more highly medically trained staff than any other chain of clinics.’ By the end of visit my to the Clapham branch, I’d booked my commentary facial for the following week. sk:n Clinic’s HydraFacial gave me such an amazing glow, I’ll return for more. sk:n Clinic has 48 branches nationwide: the north and Scotland, the Midlands and Wales, London and the South. The Lavender Hill, Clapham branch is the newest to the chain. It opened in August and the location is easy to get to. The practice has three Skin Practitioners. To date on of their most popular treatment is laser hair removal. They also stock skincare products from America and France such as Dermaquest and Avenue. While their own brand products are made in the UK. Staff at the practice was diverse, friendly and helpful which set me at ease. The HydraFacial puts hydration back into the skin. It’s quite popular in USA and Australia. Baroness Brady of Knightsbridge CBE is amongst the UK fans of the treatment. It can be done in 30 minutes. A monthly HydraFacial is recommended to maintain a bright complexion. Fair skin may experience redness post treatment but it will settle after 10 mins. 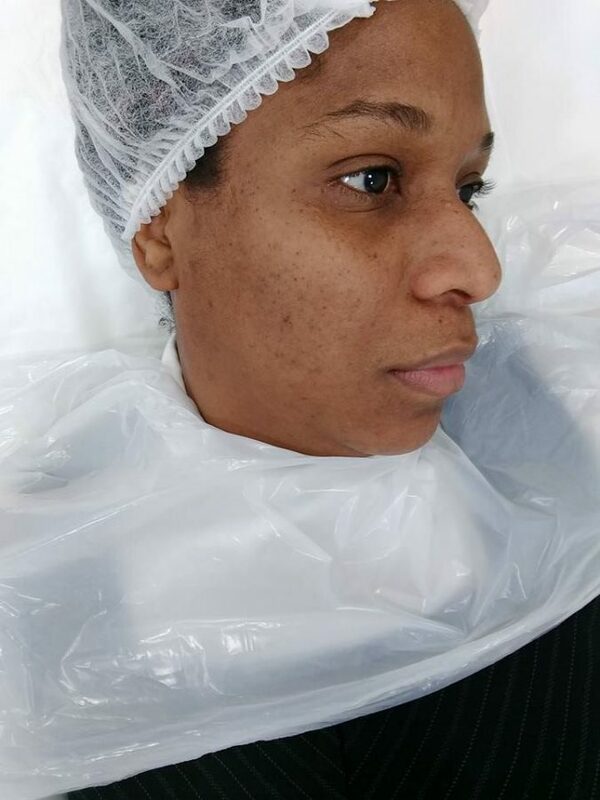 The treatment consists of ‘multiple stages which detoxify the skin, remove dead skin cells, extract debris and provide lasting hydration to protect and rebuild collagen levels…’ The video below will show you how it works. During my press visit at sk:n Clinic I had my skin analysed. I was told it was dry. The HydraFacial seemed the best option. Honestly because the information booklet featured people of people of different ethnicity and ages, I felt more secure to have it done. 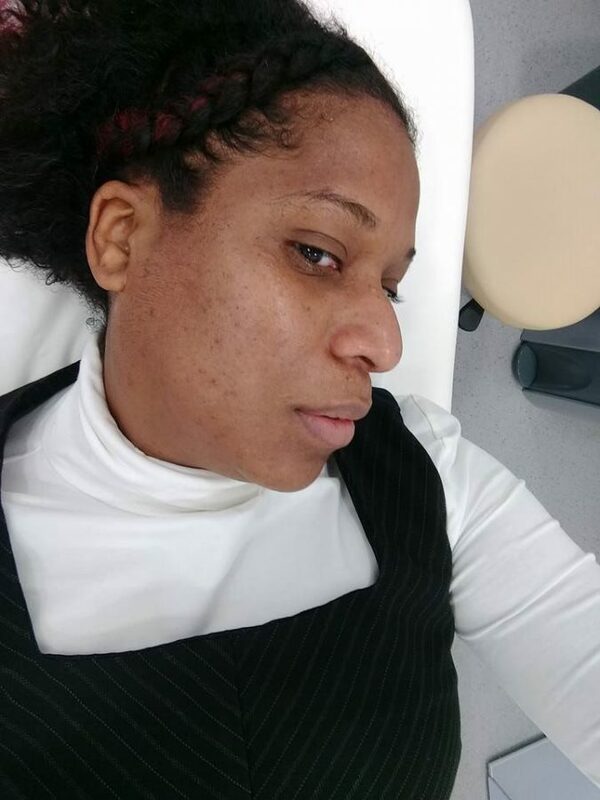 On the day of my appointment, I completed two questionnaires regarding my medical history and skin concerns. Then, the Skin Practitioner explained the procedure, what to expect after the treatment and how to care for my skin post treatment. I have sensitive skin that’s prone to mild eczema but I didn’t have any irritation or redness. In fact for the past two weeks I’ve been enjoying makeup free, clear healthy looking skin. I was so happy with the immediate results of the HydraFacial I’ve booked for a follow-up treatment after the Christmas holidays. Visit the sk:n Clinic website for more information about all their treatments and to find your nearest clinic.